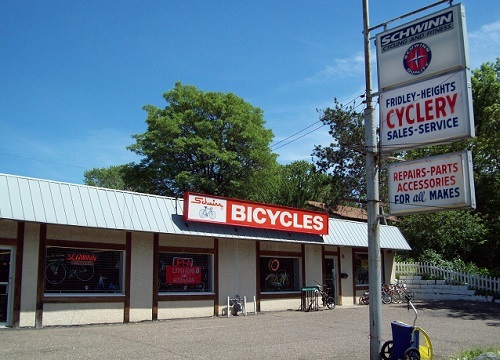 Fridley Heights Cyclery began as a modest bicycle service shop in 1945 in Minneapolis on East Hennepin repairing bicycles. In 1969, Fridley Heights Cyclery moved to its current location in nearby Columbia Heights and expanded its offerings of bicycles and accessories to supplement its recognized repair and tune-up services. We are proud to be a family owned bicycle shop currently in it's third generation of ownership of bicycle enthusiasts. Roger Rodengen, Fridley Heights Cyclery’s second generation owner recalls people bringing their entire families to come check out popular bicycles such as the Schwinn’s immensely popular Black Phantom, Lemon Peeler, Apple Krate, and Orange Krate bicycles. 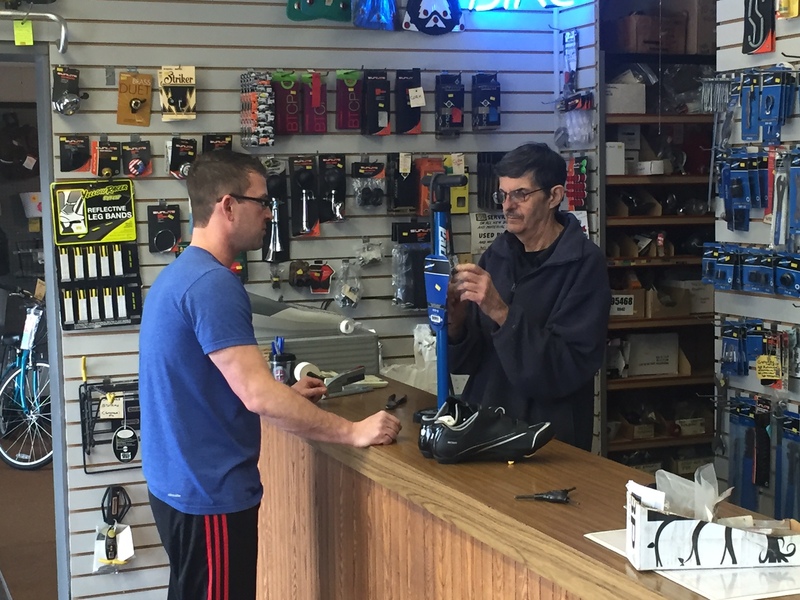 Today Fridley Heights Cyclery carries a variety of brands of bicycles and accessories both young and old as well as exercise equipment while never forgetting our roots of bicycle service and restoration. Click here to read our write up in the Star Tribune!